The Texas Department of Public Safety Driver Handbook is available for you from www.TestQuestionsandAnswers.com. This version of the Driver Handbook - Texas is the most up to date and comprehensive manual available. Our easy to use Driver Handbook - Texas app will allow you to study when and where you need. 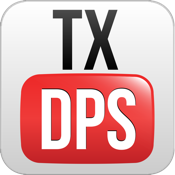 We make our apps easy to use, providing the convenience you need to learn all of the information needed to pass the Texas DPS driving exams. Download the Driver Handbook - Texas today!